How important is state government spending to the economy of Vermont? How does Vermont’s state government spending compare to the country as a whole? The chart below shows how Vermont’s state government spending compares to the state’s Gross Domestic Product. It also shows every Vermont citizen’s share of state spending and taxation. So, the state government accounted for 18.2% of the total GDP in 2016. Note that this excludes the expenditures of the off-balance sheet entities such as the University of Vermont and the Vermont Student Assistance Corporation. Including the $1 billion expended by these entities, the states share of GDP is closer to 21%. 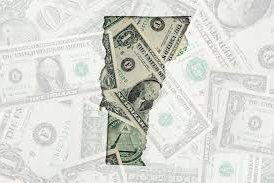 Vermont’s per capita state spending, at $9,044 in fiscal year 2015, is about 57% higher than the national average, which was only $5,777 in 2015 according to the National Association of State Budget Offices. As our state politicians move forward, they face some major fundamental challenges when it comes to spending and taxation. Low economic growth, a declining (and aging) population and the risk of reduced federal grants are perhaps the three greatest challenges. Vermont’s current level of spending is materially higher than most states on a per capita basis. The taxes that support this are discussed in the next section. Previous articleRevenue and Expenditures: 2. What Are Vermont Taxpayers Really Paying For? Next articleTaxes: 1. How High Are Vermont State Taxes?